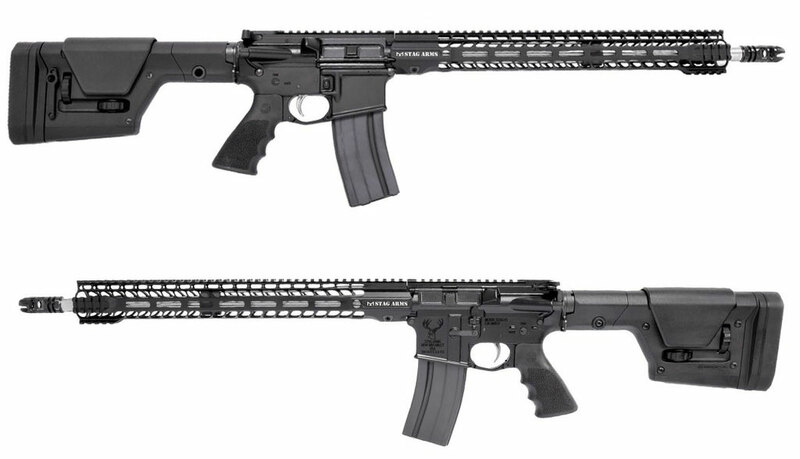 Stag Arms announced a new STAG-15 rifle in .224 Valkyrie, as well as a Varminter version in .223/5.56. Stag is one of the first companies to offer an affordable option for those wanting a .224 Valkyrie chambered AR15 for hunting this year! 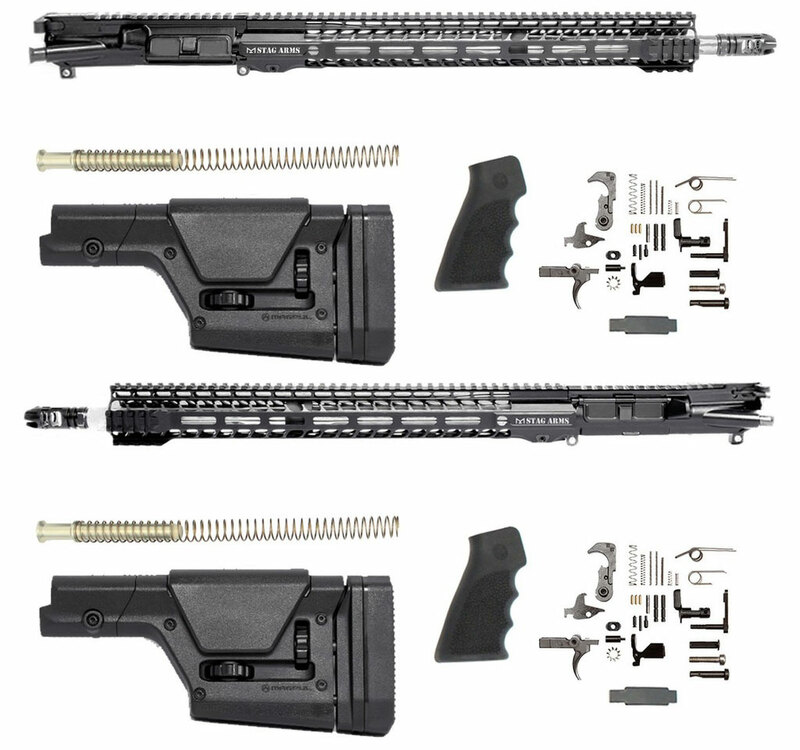 Stag is offering their STAG-15 Valkyrie in full rifles, uppers only and rifle build kits. They are also offering just the barrel for those of you who want to convert their 6.8 rifles to the new cartridge. All options are offered in their left-hand versions as well! Their new STAG-15 Varminter is chambered in .223/5.56 and is geared towards varmint and predator hunters who want a rifle that is designed for their use in mind. There is more information on the new .224 Valkyrie below the video! The Stag 15 Valkyrie utilizes the all-new 224 Valkyrie cartridge, created by Federal Premium® Ammunition, allowing for maximal performance from the Stag 15 platform. Built around an 18” 416R Stainless Steel Fluted Heavy Barrel, the 224 Valkyrie cartridge provides less wind drift and drop than all other loads in its class and stays supersonic past 1,300 yards. Stag will be offering various options chambered in this new cartridge, including complete rifles, uppers and rifle build kits in both right and left-handed options. Their uppers are on sale right now for $519.99 (no BCG)! The Valkyrie hosts our Two-Stage Match Trigger, coated in Nickel-Boron, that is designed for precision shooting. Each pull is smooth and consistent to ensure that this trigger will enhance the shooters ability to create tighter groups at the furthest distances. The mid-length gas system provides reliability under any condition and is combined with a low-profile gas block. The rifle is finished with a Magpul PRS Stock, Aluminum Enhanced Trigger Guard, Hogue Pistol Grip, and Manganese Phosphate coated, chrome lined 6.8 SPC II bolt carrier group. The Stag 15L Valkyrie Left-Handed Upper utilizes the all-new 224 Valkyrie cartridge, created by Federal Premium® Ammunition, allowing for maximal performance from the Stag 15L platform. Built around an 18” 416R Stainless Steel Fluted Heavy Barrel, the 224 Valkyrie cartridge provides less wind drift and drop than all other loads in its class and stays supersonic past 1,300 yards. The mid-length gas system provides reliability under any condition and is combined with a low-profile gas block. The Valkyrie is finished with a Stag 16.5″ M-LOK SL Handguard that features a slimline, lightweight profile and offers increased ergonomics, maximum airflow, and modularity while continuing to provide the utmost strength and durability. The 224 Valkyrie cartridge is the new choice for both long-range target shooters and hunters. The Stag 15L Valkyrie Left-Handed Rifle Kit utilizes the all-new 224 Valkyrie cartridge, created by Federal Premium® Ammunition, allowing for maximal performance from the Stag 15L platform. Built around an 18” 416R Stainless Steel Fluted Heavy Barrel, the 224 Valkyrie cartridge provides less wind drift and drop than all other loads in its class and stays supersonic past 1,300 yards. This AR15 Rifle Kit only needs a Stripped Lower Receiver to complete your build. Each rifle kit includes a Rifle Case, Magazine and Infinite Shot Barrel Guarantee.